On December 12th, at Massa Italy test facility, GE9X high pressure compressor (HPC) has achieved aviation industry’s world record of 27:1 pressure ratio. EDC Advanced Technology and Preliminary Design team were heavily involved in this engine design. 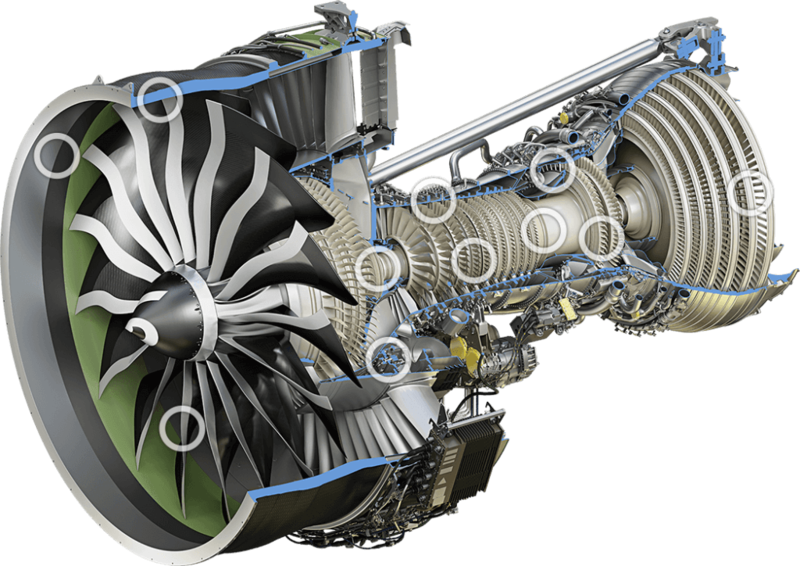 GE9X is going to power the latest Boeing 777X design that is scheduled to fly in around 2020. “This is a fantastic experience to be a part of the GE9X HPC test crew. I was monitoring lightprobe data of rotor blade vibrations – sometimes it required immediate data processing – we could see the blades going through resonances, stalls, calculating responses.” – said one of the engineers who was at the site monitoring the engine and supporting the test. EDC on-site test coverage at Massa was significant, including aerodynamics, aeromechanics, clearances and mechanical design engineers, who were present during the entire test campaign. To date, the module has accumulated more than 300 hours of testing and will have run 450 hours when the test is complete. Test results are very promising and validated the efficiency and operability of the HPC module design. GE plans to begin testing a second HPC module at the Massa, Italy test facility later this year and a third HPC module prior to first engine to test in 2016.